Energy has long been the cornerstone of Wyoming’s economy, with coal and oil historically dominating the state’s natural resource extraction industry and natural gas and wind energy leading growth in recent years. Also important to the Wyoming way of life are iconic wildlife species that contribute recreational, economic, and aesthetic values to the state. As the U.S. capitalizes on domestic energy sources, western states will continue to accrue economic benefits, as well as the challenges of mitigating energy development impacts to wildlife. 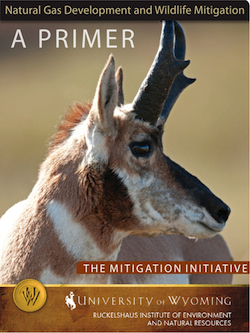 The Ruckelshaus Institute is synthesizing and evaluating current wildlife mitigation practices to better understand the range of mitigation options available and is contributing to a better understanding of mitigation options, successes, and challenges. (c) Compensating for unavoidable impacts. This definition represents a hierarchy of activities: first seek to avoid and minimize impacts and then compensate for impacts that do occur. While mitigation can address impacts to air quality, cultural and visual resources, livestock, and recreation, and can address effects from a number of human impacts, the Mitigation Initiative focuses specifically on mitigating impacts to wildlife from energy development. 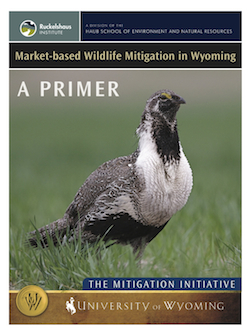 This publication draws from scientific, working, and statutory knowledge to provide a survey of current wildlife mitigation practices for wind energy projects—both in Wyoming and outside the state. 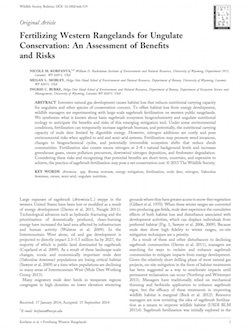 It also explores what might be next for wildlife mitigation and wind as development moves increasingly to federal lands. 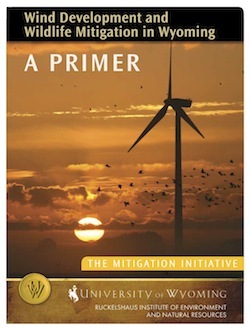 Browse the Energy Mitigation Initiative publications.